Surf’s up! We’ve hit the dog days of summer and when people need to beat the heat, plan a family outing or start that long awaited vacation they head to the shore. We’ve hit the height of beach weather. But for some, the beach is a lot more than a fun day of sun, sand and water. For some, the beach is their business. It’s a seasonal business that requires you to be organized and to maximize profits in a short period of time, and you have to stay organized. It’s the nightmare everyone has when they’re putting items into storage. A Toledo, Ohio woman put all of her belongings in a remote storage unit because she had to move in with her mother. She traveled to the unit periodically and there were no problems, but when it came time to move her stuff out she discovered her belongings were chewed up by mice. It’s really the whole reason why you put items into storage. At A.B. Richards, we know you want your belongings, business records, and equipment to be safe when you don’t have room or it’s inconvenient to store them in your home or office. 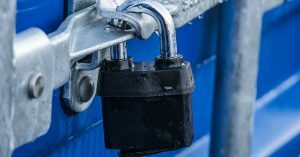 Very often, that means making certain your items are safe from theft, but you also want to retrieve your belongings in the shape that you left them. 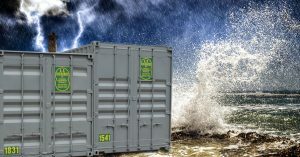 That means you want to be certain your portable storage containers can stand up to what Mother Nature throws at you. At A.B. Richards, we know you’re going to have peace of mind. [Read more…] about Are Storage Containers Weatherproof? Renovating a home can be both exciting and stressful. Your home is going to have a new look and rooms will be modernized. That can be very exciting, but the flipside is that your life is going to be disrupted during a major renovation. You can try to live your life around the chaos, or you can move items and possibly your family out of your home. If you’re looking to store your belongings near your renovated home or near a temporary home, A.B. Richards can help. Are you finding yourself constrained in your home or workspace? Are you feeling unorganized or do you have a big project coming up that will require a large amount of organization? Very often, you can make your life easier by having more space. At A.B. Richards, it’s our job to give you the space you need in the most convenient way possible. If you’re a sales rep, you know you have to hustle to make money. If your company hires sales representatives you’re very aware that they often work remotely. That means that your reps are going to need to have access to their product for demonstration purposes as well as their inventory when they make sales. The easier it is for sales reps to have access to their products the more efficiently your business will run. A.B. 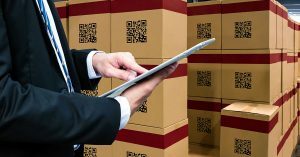 Richards can help your business and your sales reps be more organized by giving you convenient access to your inventory. If you’re looking for ground level storage space for industrial use, you know things can be tricky. 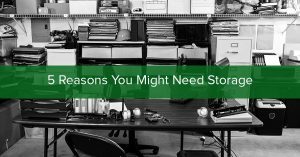 You want to make certain that the storage solutions you come up with don’t disrupt your operation. It’s important that you have easy access to your materials and that storage and retrieval do not interfere with productivity. When you’re storing material, inventory, tools and records, you want things done efficiently and safely and you want the storage area to be sturdy and stand up to the elements. For many companies, it’s impractical to use a warehouse for industrial storage. That’s why A.B. Richards makes so much sense for industrial use. It can be an exciting and stressful time for your business. Relocating to a new office can open up new opportunities, give your business more room in terms of both physical space and economic growth. A move to a new location can bring in new customers and open up new markets. 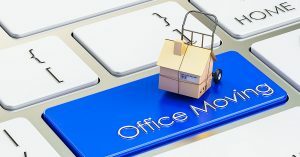 You want the move to be an opportunity for a fresh start for your office and when it’s over, you want to have your new workspace be organized and look terrific. Last year seemed to be the year of natural disasters. We saw severe flooding in Houston as a result of Hurricane Harvey. The entire state of Florida and the US Virgin Islands were affected by Hurricane Irma, while Puerto Rico was devastated by Hurricane Maria. Here in the northeast in places like Long Island, New York City and the New Jersey shore, we know that flooding is a possibility as well. Superstorm Sandy caused major flood damage in the area in 2012. 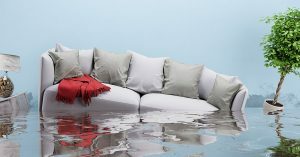 Flooding is a very real threat and protecting your belongings is something you should take very seriously. A.B. Richards can help. We’re your local portable storage container company. 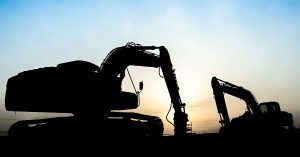 If there’s one business that has a lot of need for storage, it’s the construction industry. It’s a job that has many different sites that are constantly changing. 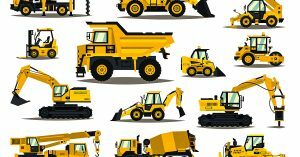 Construction companies use a lot of machinery and a lot of different materials. In short, there are a lot of moving parts and the circumstances are constantly changing. Not to mention that it is a business and you need to keep records somewhere.